Wood Yard Truck Driver Protection Station – FCM Products Inc. 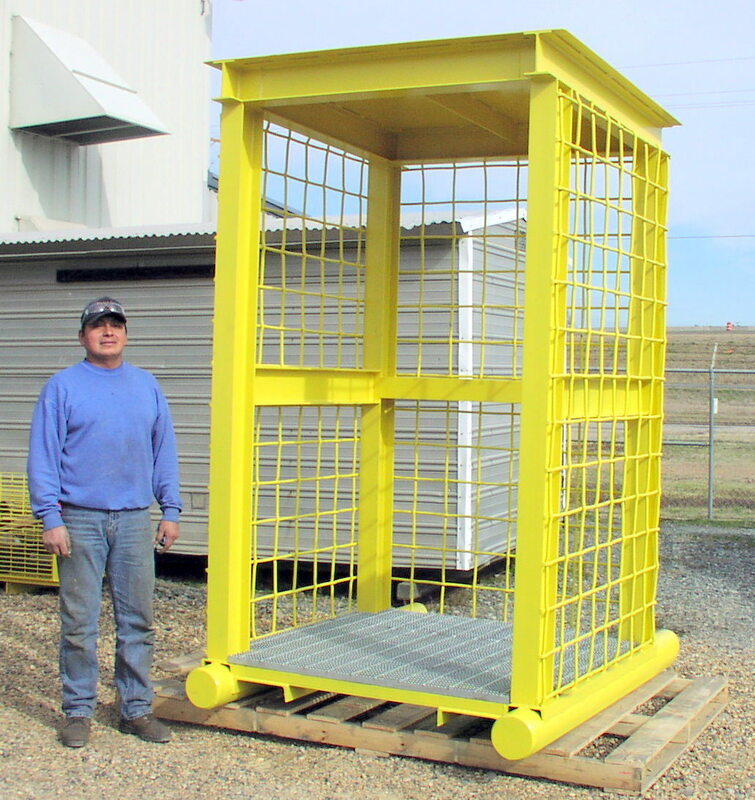 Protect your workers with this portable wood yard truck driver protection station. While logs are unloaded from large freight trucks, your drivers and other personnel can be protected from falling debris as they stand inside this attractive enclosure. This unit was produced in February 2009 for a paper mill in Ashdown, Arkansas. Its sturdy construction is the result of 6″ I-beams and 1/2″ woven wire sides, with 1/4″ top plate. It stands 10′ tall and is 6’wide by 6′ deep, guaranteed to fit any size employee.